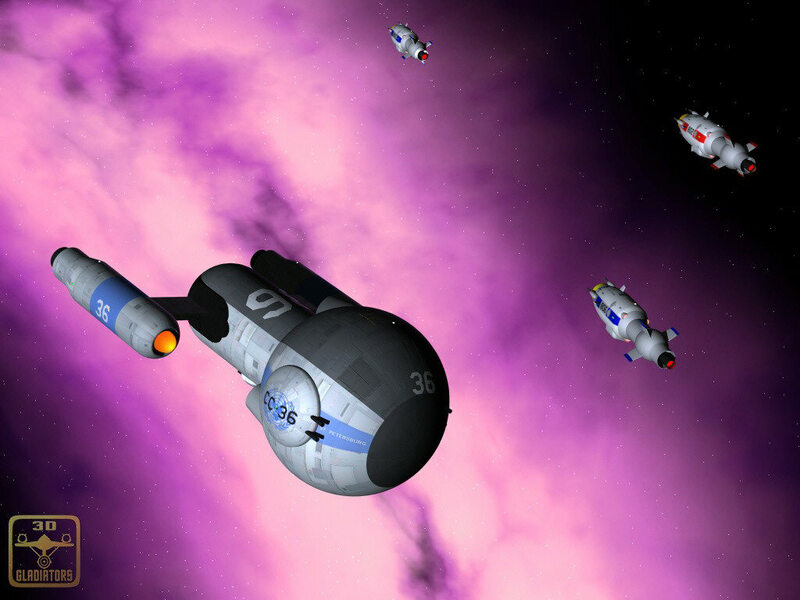 The first Klingon ship that we can describe in any detail is that designated D2, which was introduced in 2162. This cruiser was little more than a glorified intrasystem patrol ship fitted out with an inefficient, long-duration fusion reactor and increased deuterium stores that allowed limited interstellar flight. Even with these modifications, the D2 required frequent refueling en route between star systems. The cruising speed was wf 2.4. Once it reached its destination, the D2 probably was poorly maneuverable at sublight speeds, again because of the need to carry large quantities of deuterium to fuel its impulse engines. Yet, this primitive design bears a distinct familial resemblance to the sleek, menacing Klingon cruisers of the late 23rd century. Command and control functions and weaponry were already localized to a triangular head at the end of a short, rather wide neck. Connected to this neck was an engineering hull surmounted by a ovoid impulse block flanked by plasma reflux tunnels with anterior ramscoops and exposed terminal flush vents. Extremely large nacelles (nearly 55% of total displacement) stood out from the engineering hull on wide, deuterium-filled "wings." Such was the inefficiency of its main fusion reactor that the D2 could not complete a journey between nearby star systems without refueling every 2 to 3 ly. Heavily traveled routes between core star systems of the Empire were often dotted with deep-space refueling stations served by trains of unmanned sublight or low-warp-speed tankers. On less-heavily travelled routes, D2s were accompanied by high-speed tanker craft or rendezvoused with slower tankers sent out months earlier. Although hydrogen collected from interstellar space could be used as fuel, this method of refueling was inefficient and impractical for obtaining sufficient volumes to supply a fusion-powered warp engine. At the end of the 22nd century, the Klingons were, from a galactic point of view, a minor regional power with a loosely held "empire" of some 10 resource-poor star systems. Endemic political unrest following the overthrow of the last Klingon Emperor at the end of the 21st century ensured a fragmented, fractious leadership riven by distrust and politically motivated violence. Because the Klingons had few technologically advanced rivals and no long-term external conflicts in recent memory (they had been victims of the H'urq some 10 centuries earlier), their warships were better suited for intrasystem law enforcement and defense than for offensive interstellar operations. However, after the Earth-Romulan War ended in the destruction of most of the Romulans' interstellar fleet, the Klingons saw an opportunity to exploit the power vacuum along their coreward frontier with the Romulan Star Empire. Such an expansionist policy against a severely weakened foe was still not guaranteed to succeed; although each Empire was limited to fusion-powered warp drives, Klingon ships remained technologically inferior to Romulan ships, which had improved considerably during the four years of war. 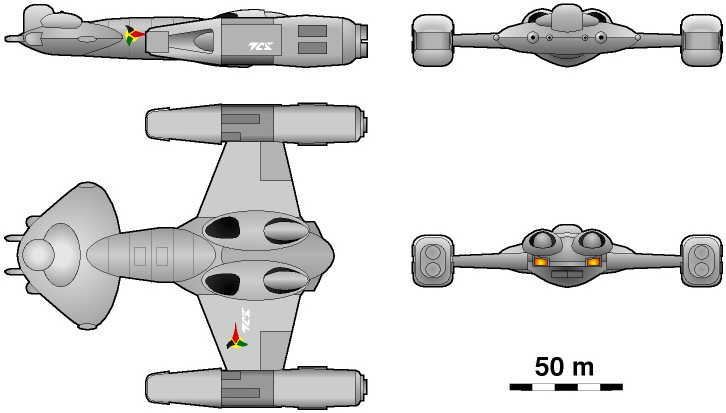 In particular, the Romulans' Cataract-class cruisers, introduced in the early 2170s, and even Clavicle-class cruisers, which had entered service in the final year of the war, had higher speeds, longer ranges, more effective defensive systems, and heavier weapons payloads than did the numerically superior Klingon ships. As such, a single Romulan cruiser was more than a match for several contemporary Klingon cruisers. The Klingons have never avoided difficult challenges and attempted to invade Romulan territory at least four times in the three decades following the Earth-Romulan War. However, each time entire fleets numbering as many as 20 ships were destroyed with little or no change in the position of the border. To observers from the late 24th century, fusion-powered interstellar combat in the late 22nd century seems maddeningly slow. Klingon D2 cruisers would have needed at least 2 months to travel the average 5-ly distance between star systems along the border, without even considering the time taken for refueling stops. 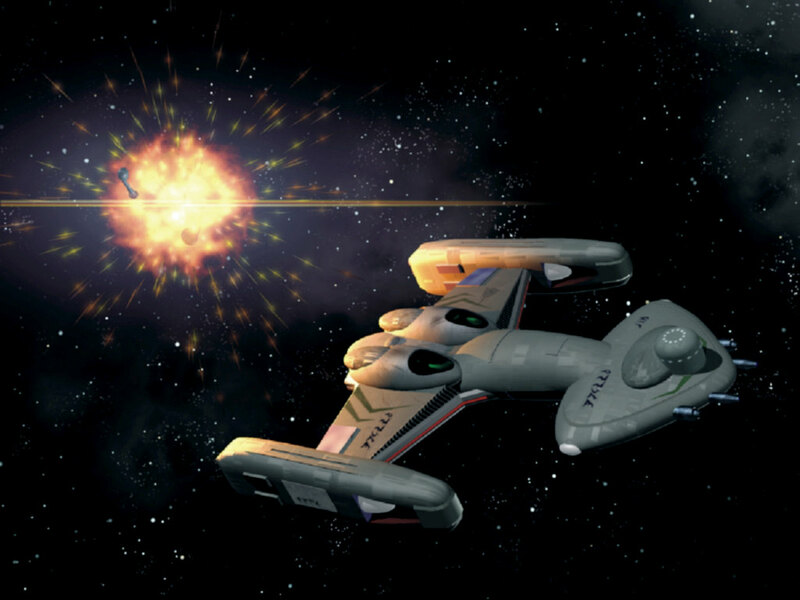 The much faster Clavicle- and Cataract-class defenders of the Romulans, equipped with long-range subspace sensors, need only to have waited for the ponderous attacking fleet to approach a target system, then pick the ships off at leisure with long-range missiles, which had been designed for use against much faster United Earth warships. The Klingon attacks were certainly brave but can also be described as foolhardy as thousands of Klingons were sent to nearly certain death.